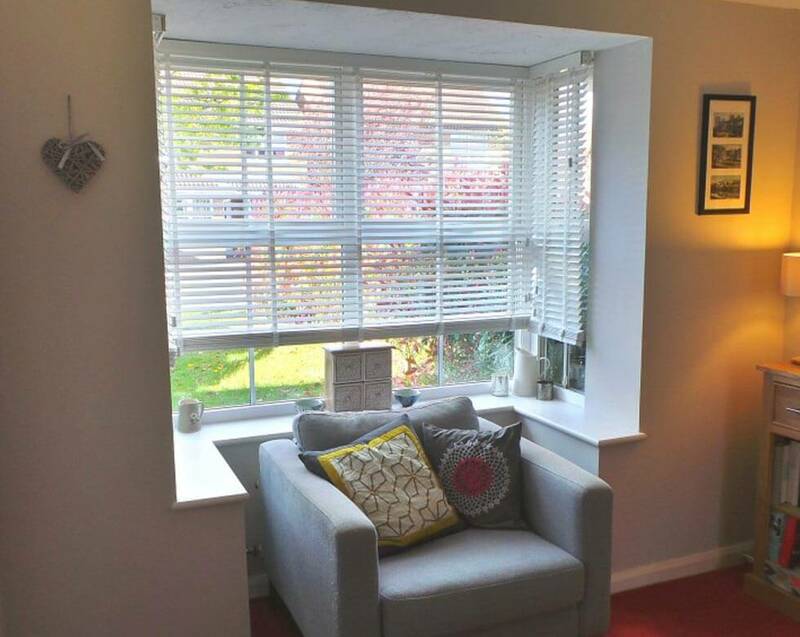 A bay window, in any room of the house, is a fantastic feature and focal point, adding character and charm. 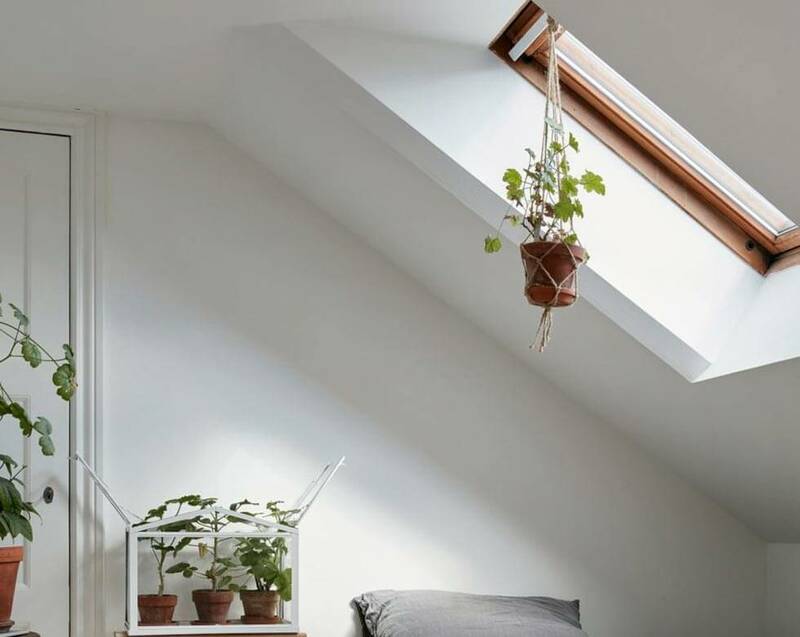 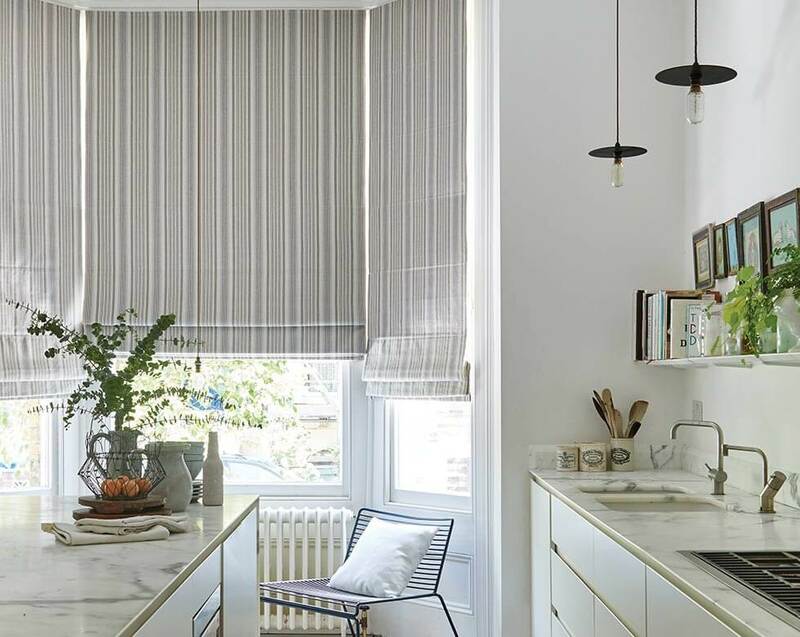 Tending to be larger than the average windows, the light brought into the room and the extended views outside are both features to you will want to Make the most of with your window dressing. 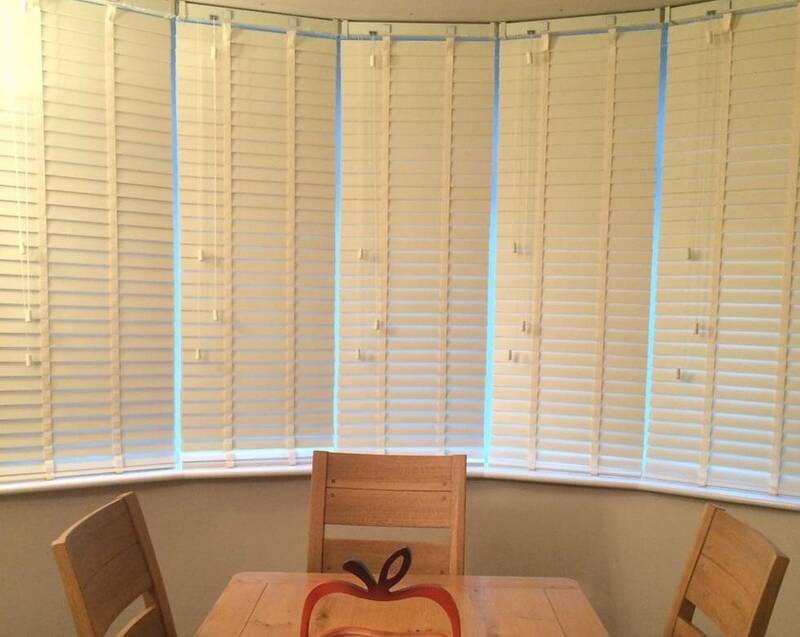 Unfortunately, because of their size, and very often the angle of the bay, standard blinds very rarely fit. 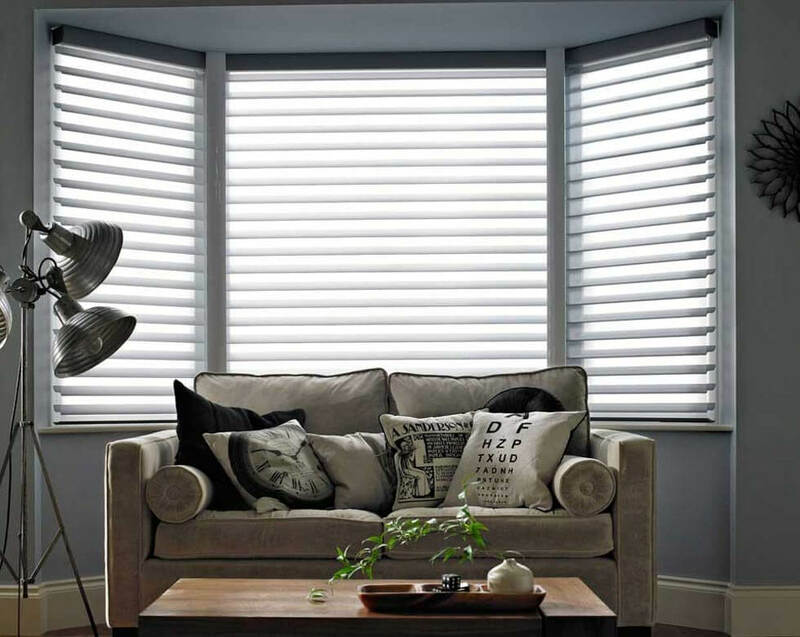 That’s why custom-made blinds are the ideal solution to complement the style and décor of any room, whilst fitting perfectly to the shape of the window, so you won’t lose any natural light. 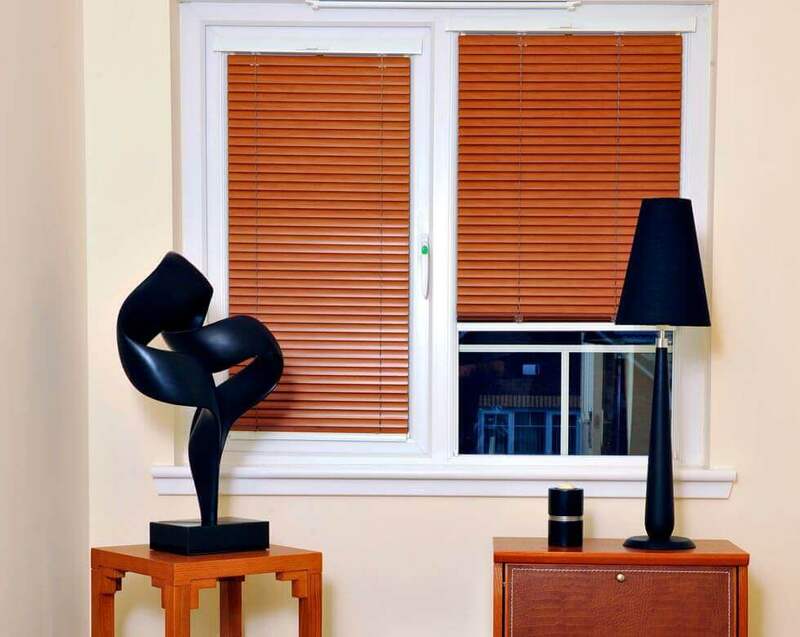 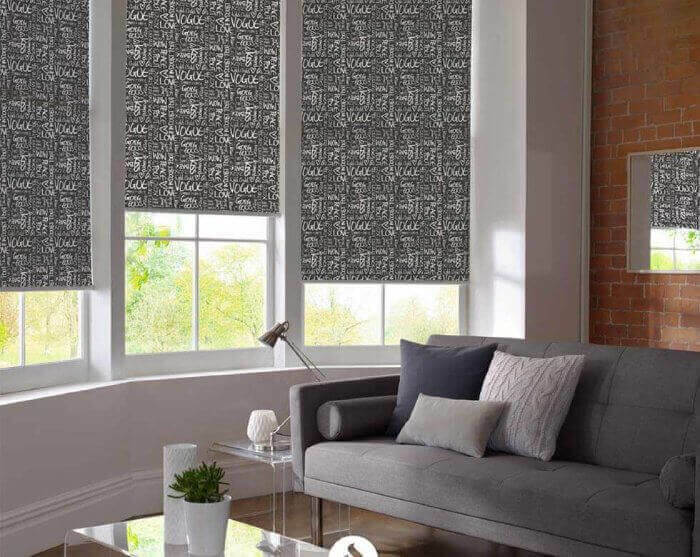 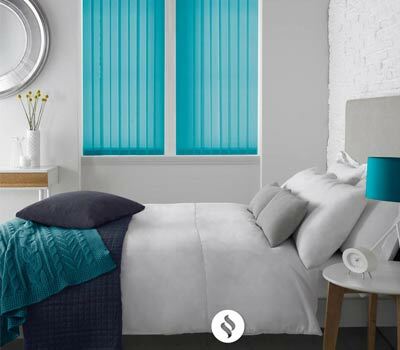 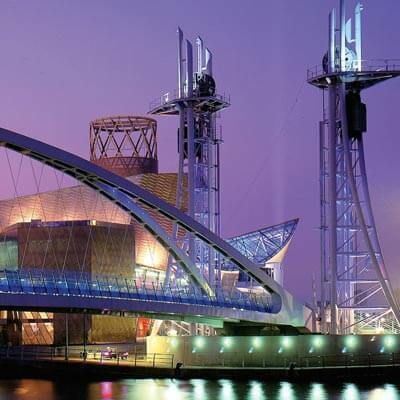 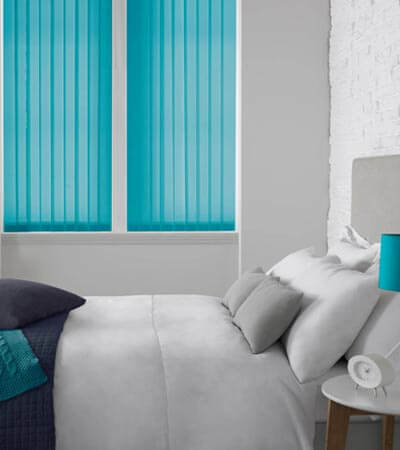 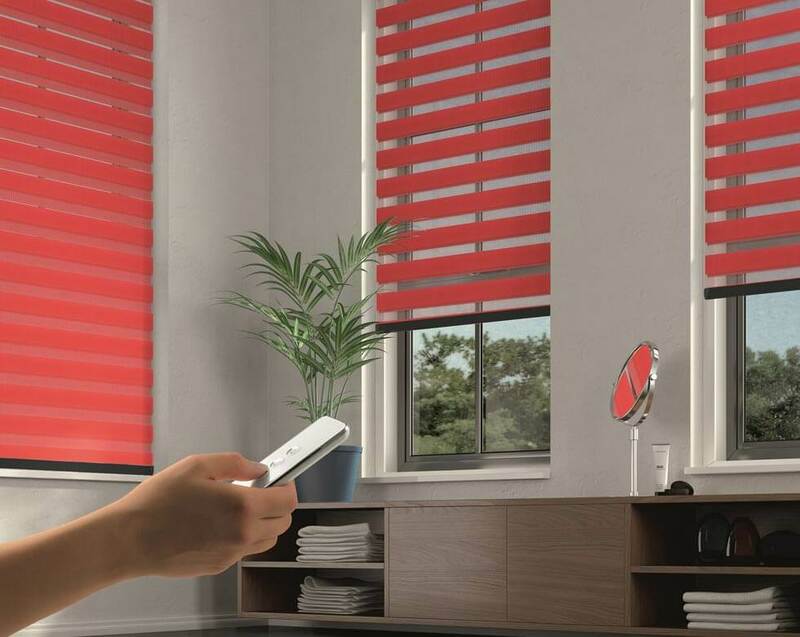 Tailor made blinds are also available in huge range of styles and designs to suit your taste and the theme of your room – whether modern or traditional. 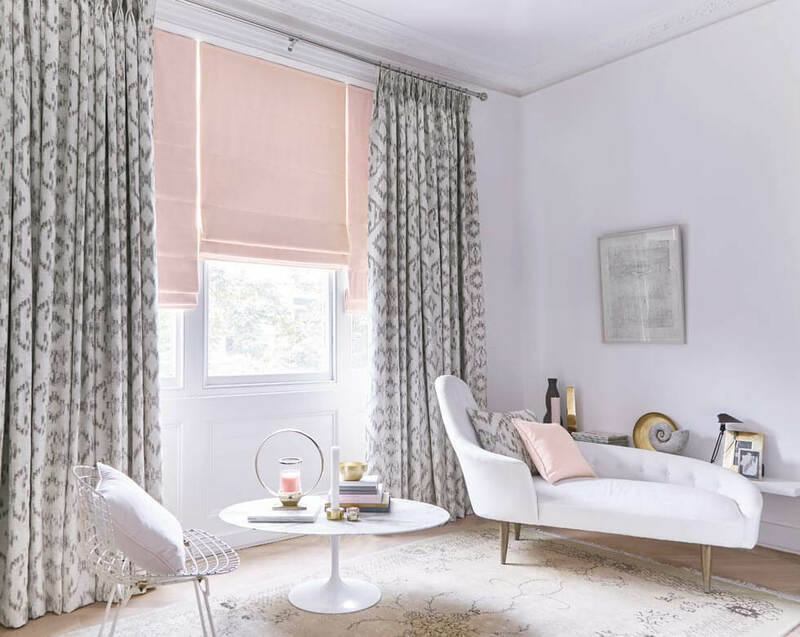 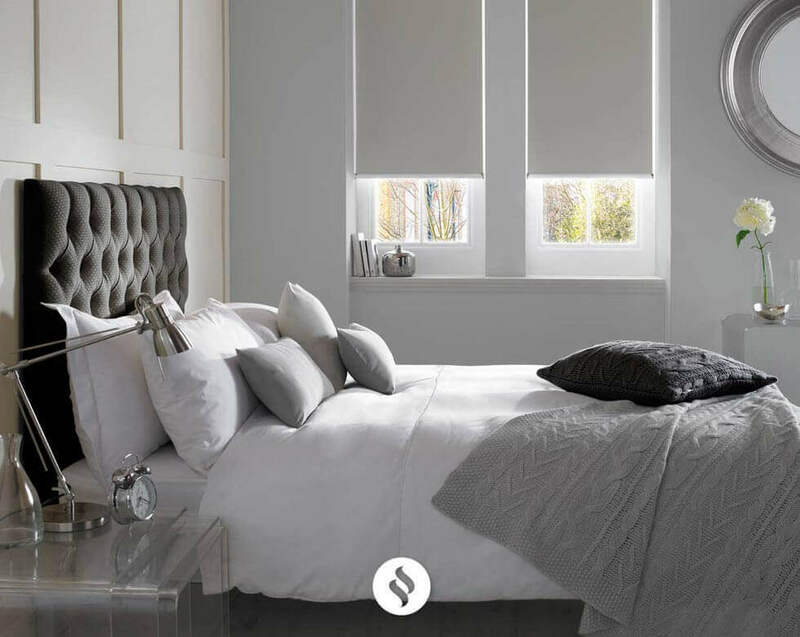 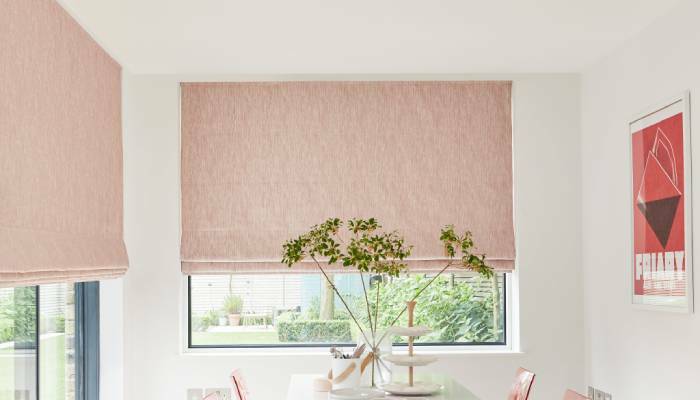 Roman blinds are a traditional option that offer a really luxurious aesthetic, and with a wide range of available fabrics, you can choose between thick and cosy, or light and summery. 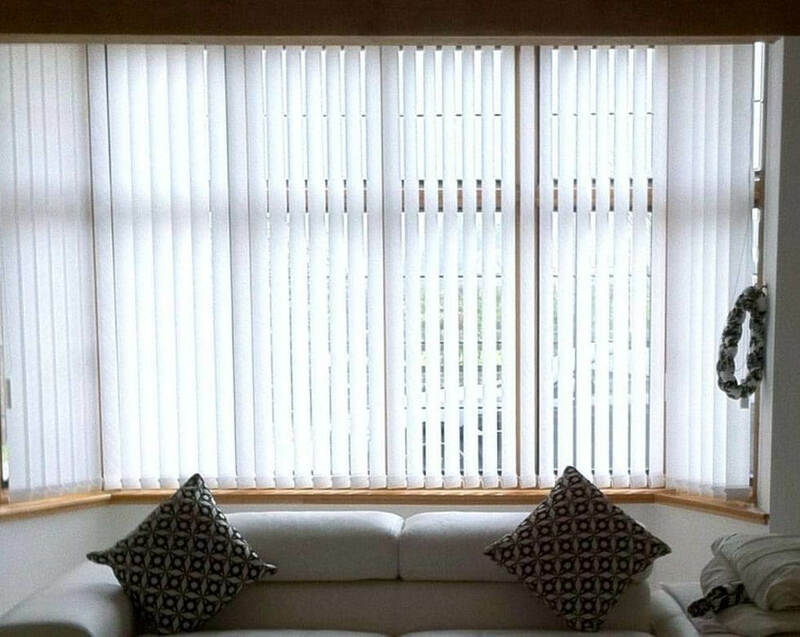 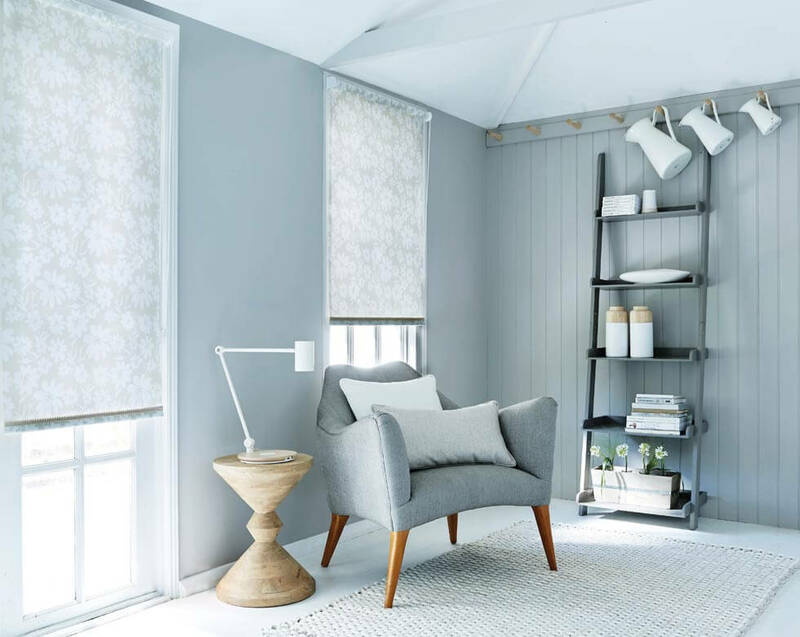 These blinds fold up on themselves for a neat and tidy look both when the blinds are open and lowered, and can be fitted one blind per window panel. 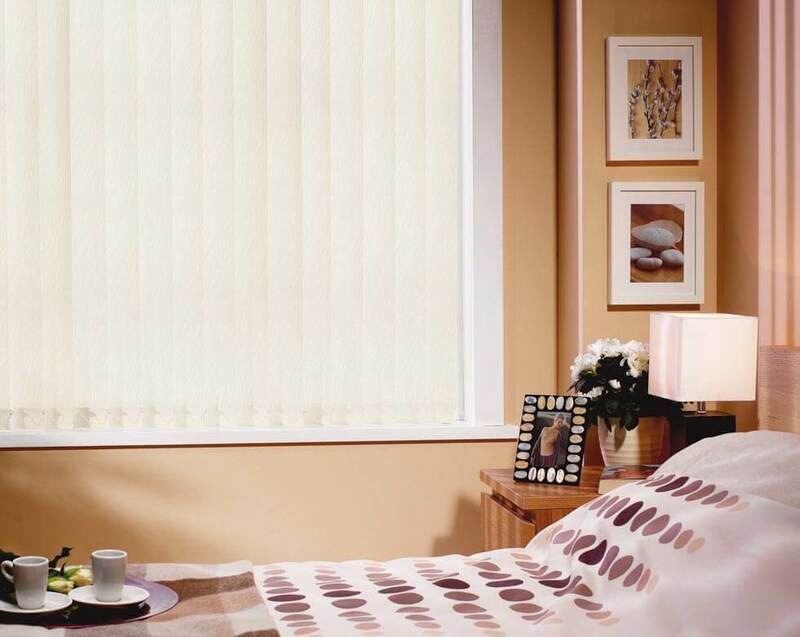 This allows the blind to follow the shape of the bay window, giving an excellent degree of control over the light and shade in the room. 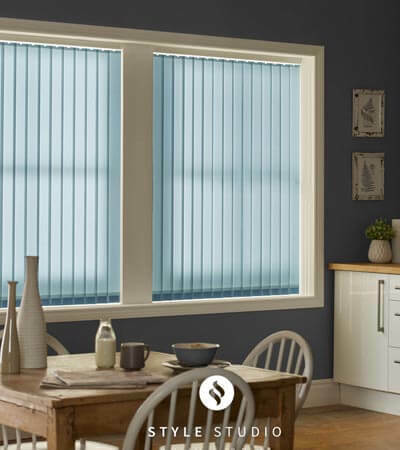 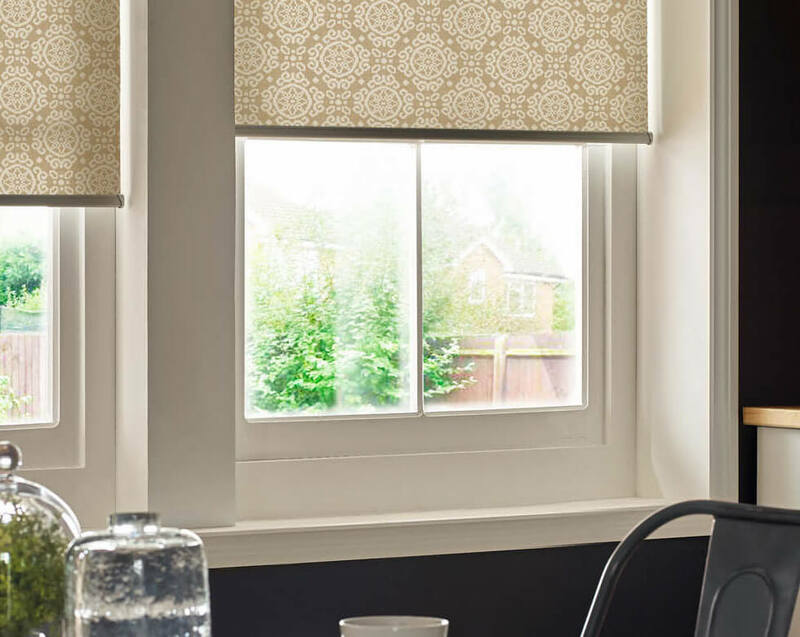 Roman blinds are practical as well as very stylish, coming with a choice of linings that includes blackout lining to give even greater control over the amount of light entering the room. 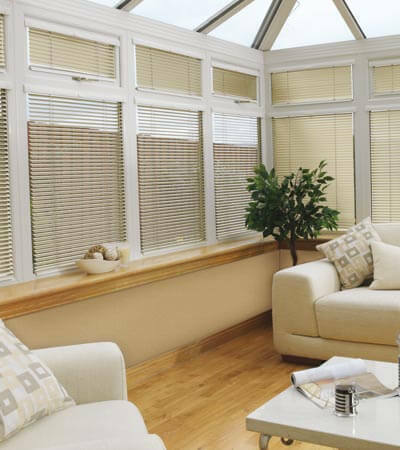 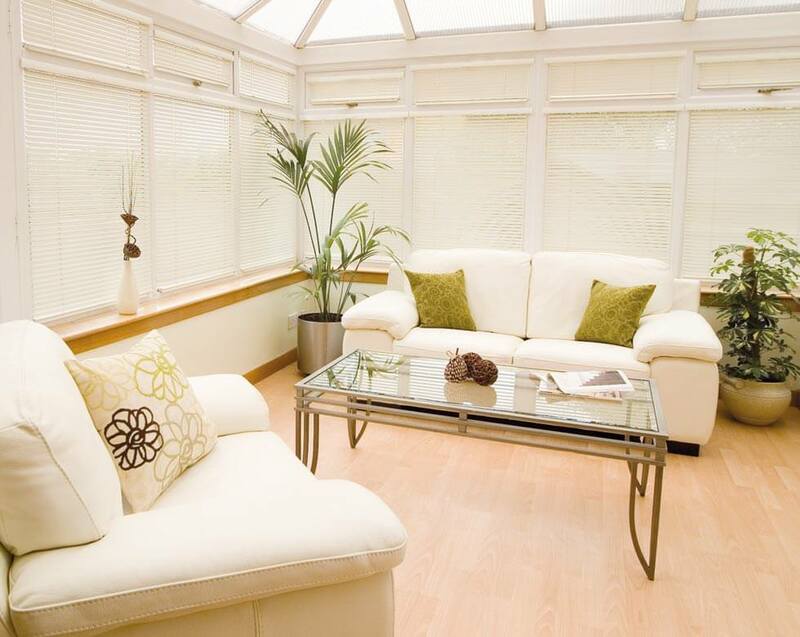 You can also choose an insulation lining, similar to pleated blinds, will help reduce heat loss from the window. 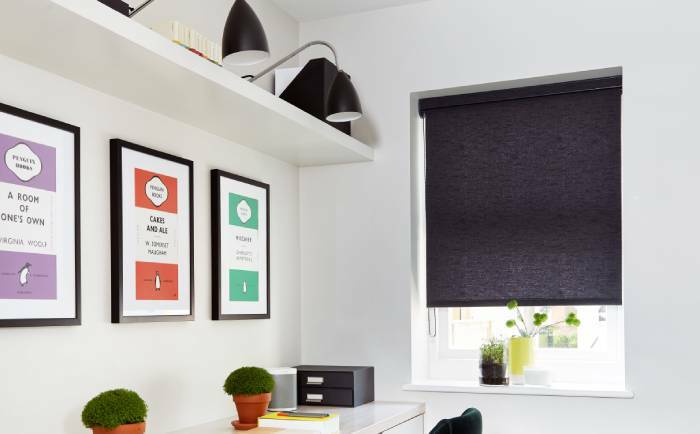 The classic roller blind offers a stylish, crisp option, and are ideal for windows that do not have the stacking space above for Roman Blinds. 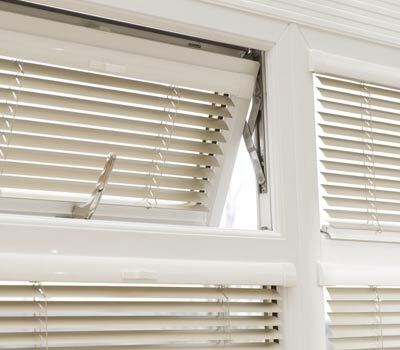 These easy to use blinds can open up the window allowing you take to advantage of the greater view outside that a bay window offers. 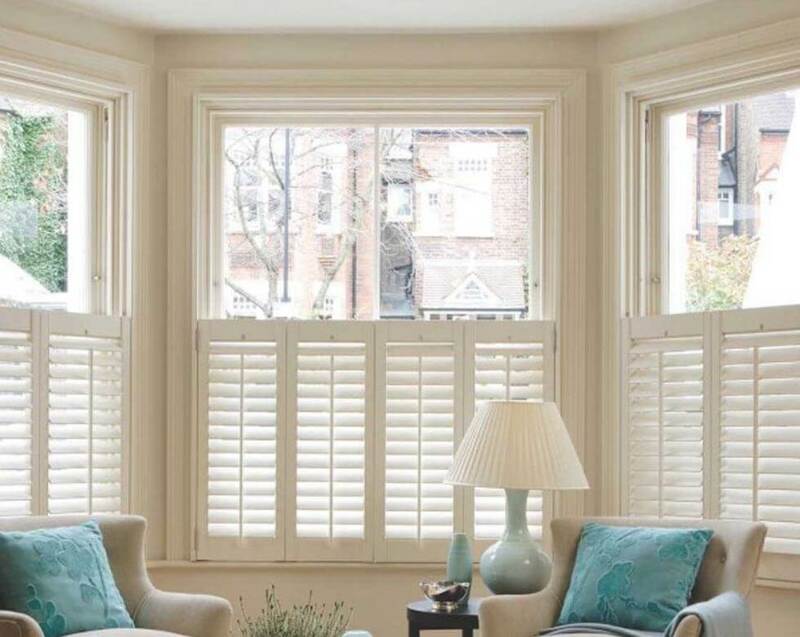 The compact design takes up minimal space and they are hugely versatile, so can be as simple or as decorative as individual styles require. 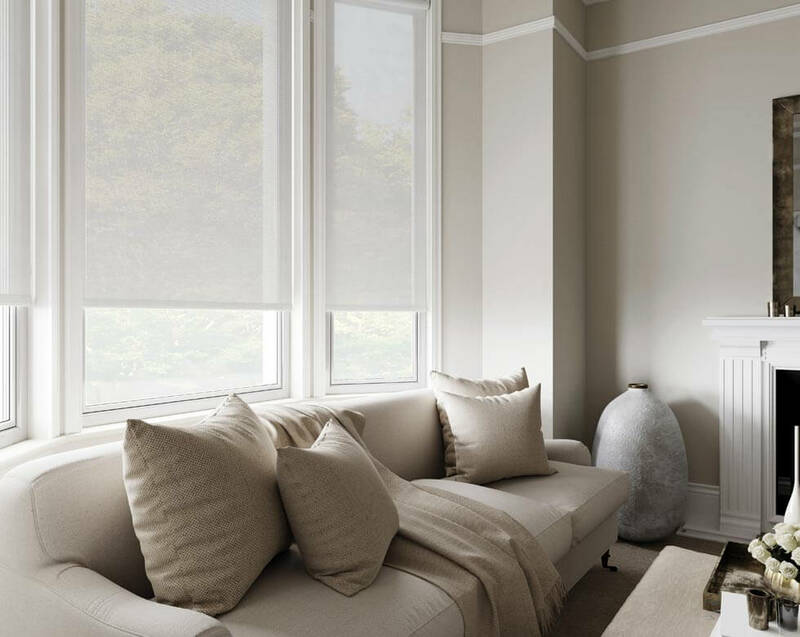 In terms of opening up the room and view, roller blinds are great, as the fabric simply rolls up and away with nothing left to obstruct your view. 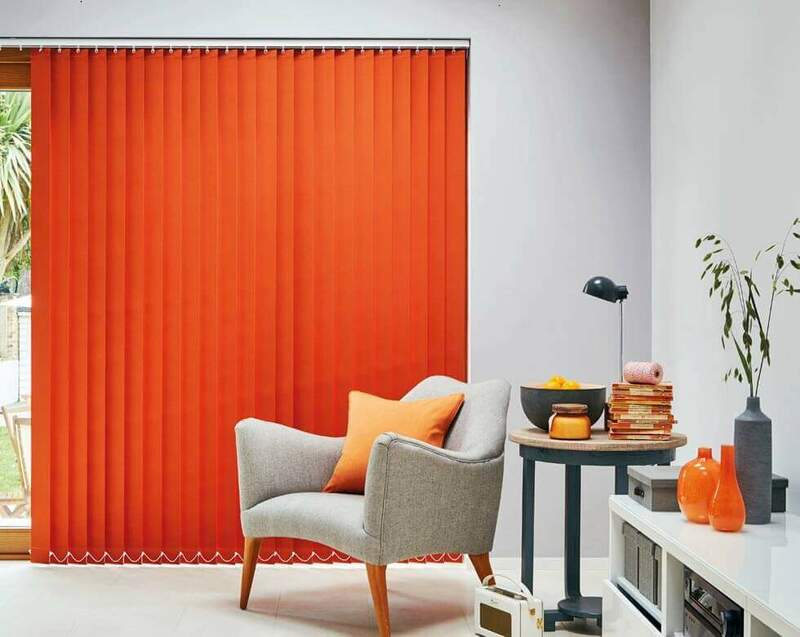 For greater balance and control of light and privacy, Vertical blinds are the perfect solution. 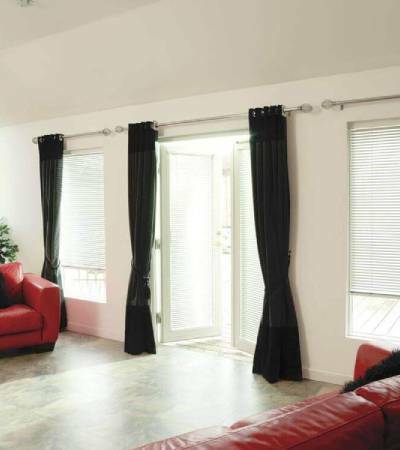 With fingertip control, these versatile blinds can be installed on tracks to fit the whole window. 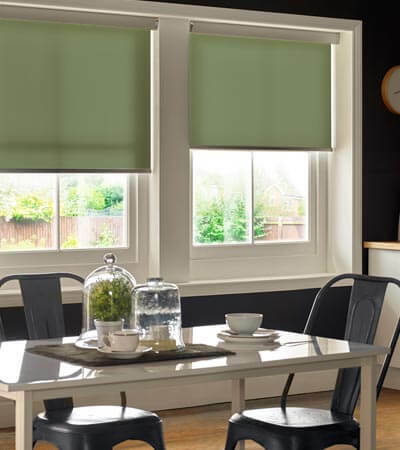 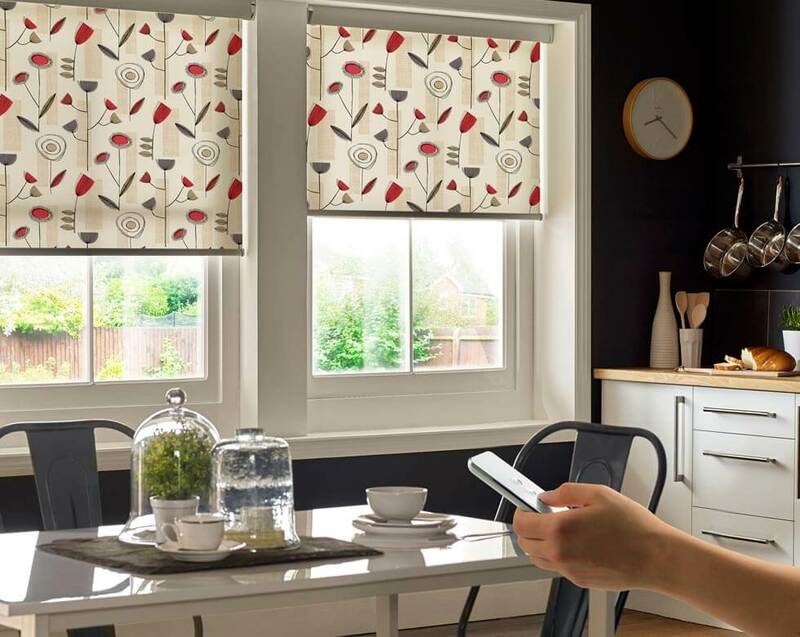 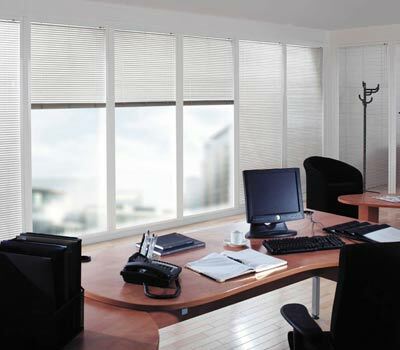 If a greater degree of control is desired, these blinds can also be fitted one blind per window panel, giving added flexibility to the user in whether the whole window is opened up, or just a panel or two. 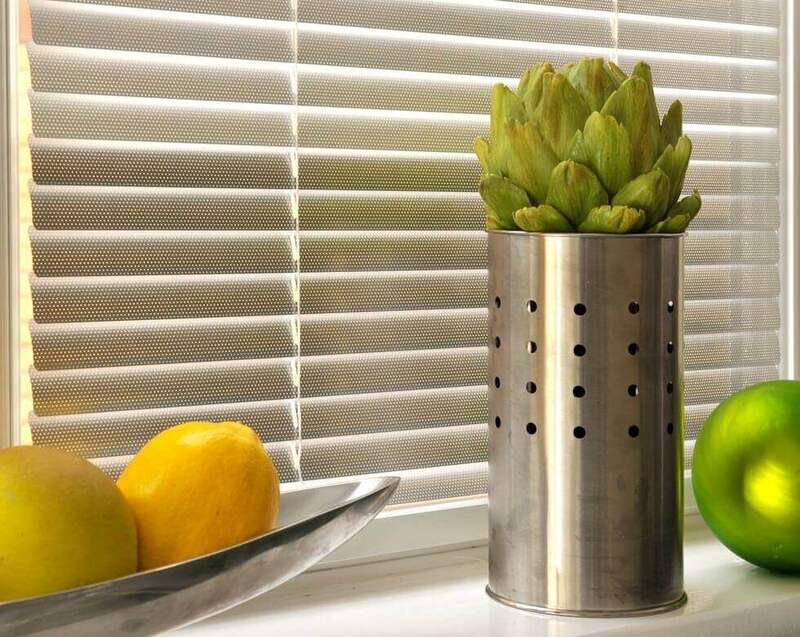 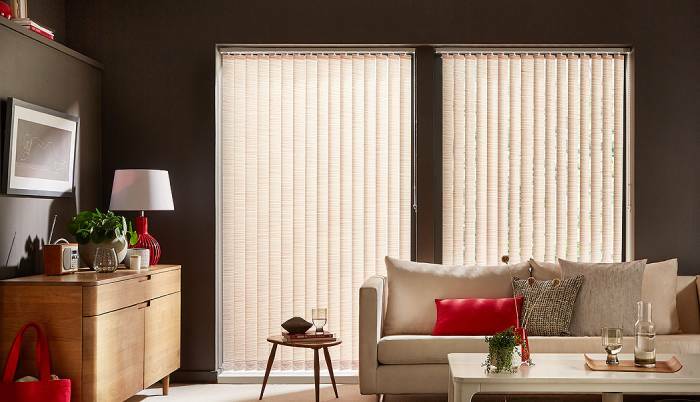 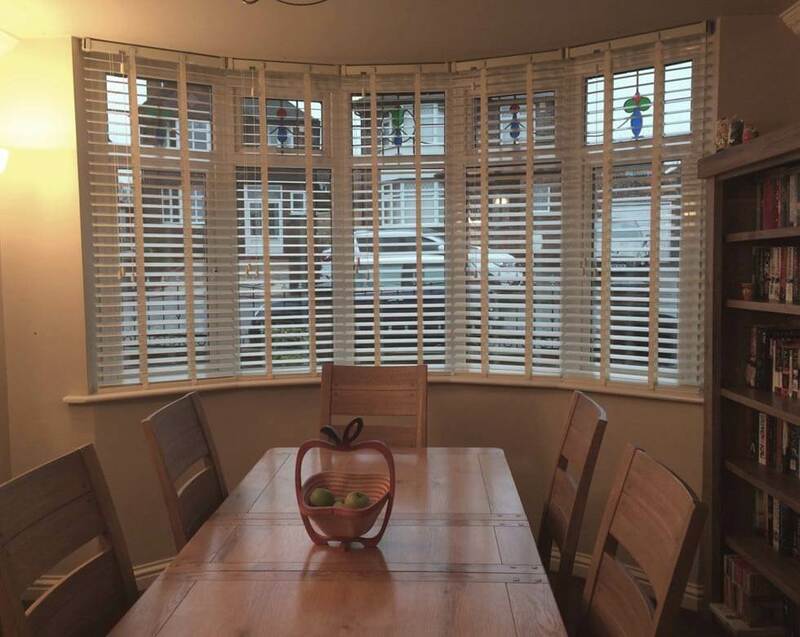 The slats on these blinds can also be angled, so are ideal for allowing in a gentle filter of light without room for prying eyes to see in from outside.